I had a really bad experience with Bits From Bytes so I’m posting this as a record, I have provided 3D Systems with a copy, both BfB and 3D systems have been invited to comment but declined so y’know, fsk em, here is my story. Bits From Bytes will take a LOT longer than estimated to repair your printer. 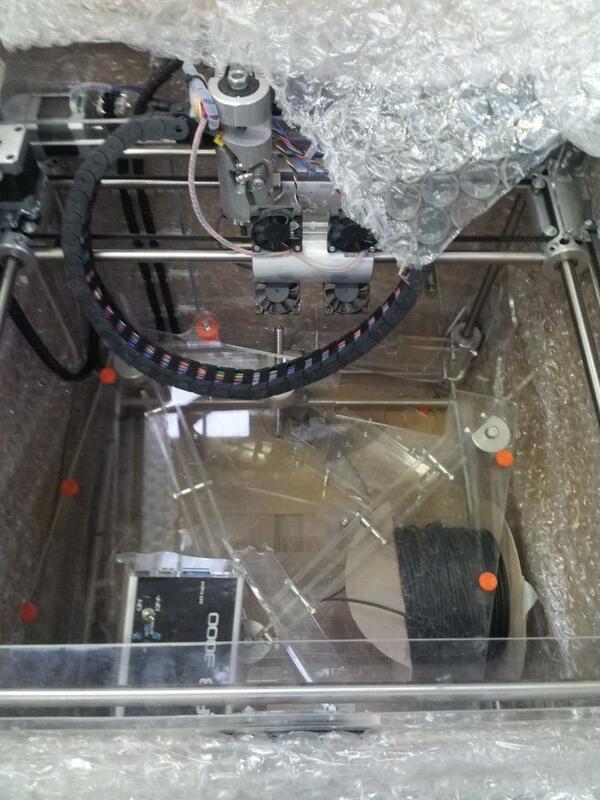 Bits From Bytes will ship you your printer back in a state that will do damage to the printer. Bits From Bytes will not fully repair the printer, you will be expected to finish their job for them. *BfB = Bits from Bytes, a 3d printer company owned by 3D systems. 2013-01-29 Customer informed BfB that the invoices were non-relevant and that full payment had already been made. 2013-01-29 Customer was told printer hadn’t shipped but it would ship today and he would have on the 30th. 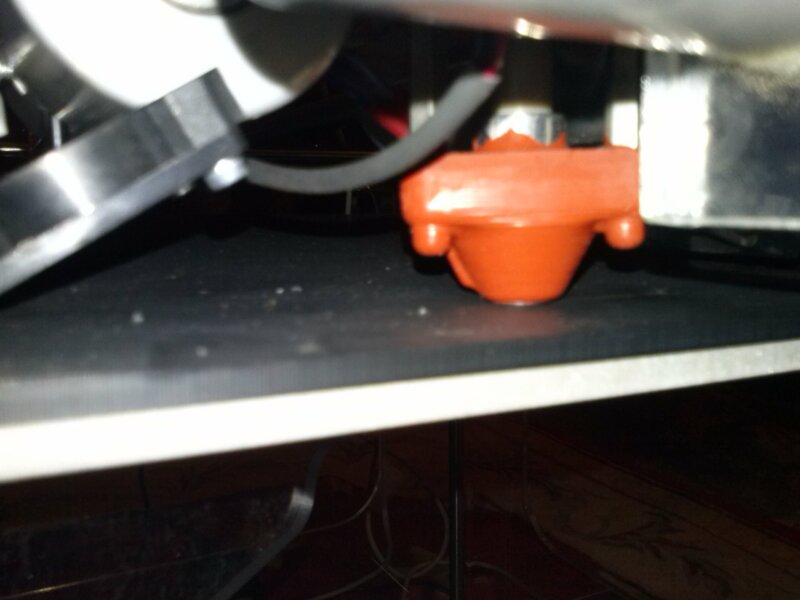 2013-02-04 Customer informed BfB that if he aligns the print head it will damage the printer. 2013-02-05 Customer was asked to change settings on the printer. 2013-02-05 Customer received email from BfB customer service manager stating technical would be in touch. 2013-02-05 Customer informed BfB of the situation with the head stuck in the bed. 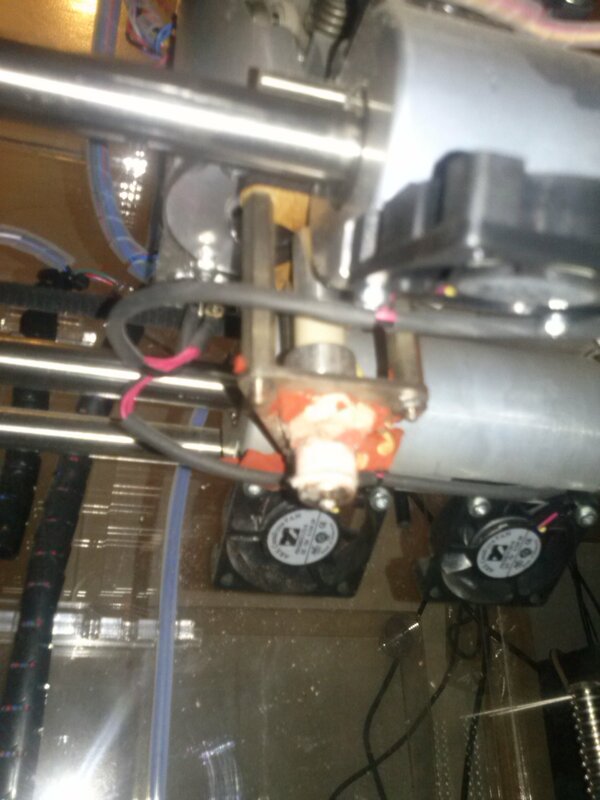 2013-02-05 Customer did not have tools or skills available and was worried about further damage so declined and requested printer was delivered back to BfB to be repaired. Communication is a problem, the fact I get an email but then have to log into a clunky web platform to access the information is painful. The value of the repairs changed and the promised ” i will stick a new bed on for you free of charge.” changed. The biggy for me is that the printer took way longer than estimated to be repaired. Technical dept stressed he would get it to me before Christmas. I was not given any updates when the printer is going to be back with me. I had to chase to get updates despite the printer being ready. Giving feedback to and/or filing a complaint has been overly difficult. My insurance was voided due to a signature from BfB, really this is the shipping company(UKMail) at fault. Additional invoices were sent with no reasoning. I had to finish the printer repairs. Customer service dept never got back to me. Customer ended up having to fix issues with the printer himself. Whenever I got the Technical dept on the phone they were polite, positive and sounded eager to repair the printer. Covering some of the costs of the damage done to the case by the Shipping company. Technical dept got me some pictures sent through for the insurance company. Shipping the printer back FOC. Tinkercad is a great free online CAD editor but Blender is a way better offline alternative. Tinkercad is very easy to get started with understanding the fundamentals of 3d modelling but it’s limitations of number of designs and polygons is a deal breaker. Blender is a great free and open source tool that has extremely powerful features and amazing functionality. It is cross platform and extremely well documented. 1. Blender is free and open source, Tinkercad kept changing things around me (moving buttons etc) and it got confusing. TLDR; The companies that make the reels of ABS are a good shout, the actual printer companies are not a safe bet. Also a lot of the online companies sculpteo etc. are not public yet despite having a lot of available capital. Most of the consumer level printers are getting funding through stuff like kickstarter and most of them are fizzling out but contributing back to the larger reprap project. Investors are invited into this sector unless you go higher up the chain (Parts). 3D printing is an example of how investment can go into the hands of the wealthy for quite a prolonged period of time(the innovation period) before it needs to go public. Know at which point on the chain of supply you want to invest. 1) Software / Web services (SaaS) stuff IE Sculteo, tinkercad, shapeways..
2) Printer manufacturers (see all the projects on kickstarter etc.) — some companies IE BitsFromBytes are toxic and should be avoided. IMHO the smart person longs on ABS or the motor suppliers ~(90%), the risk taker shorts on SaaS ~(30%), the dreamer shorts on hardware ~(5%).. % are my estimation on getting a positive return. Also remember that amateurs who get good at 3D design are going to want to start using professional tools such as autocad/solidworks and that is another market you might want to look at. Personally I think Blender provides the best value and is the best modelling tool but as it’s FOSS you wont be able to invest with an expectation on return. Someone who knows more about 3D printing than me might argue that ABS is less quality than the reductive powder available but I’d argue that amateurs wont need such high quality and that the ABS presents a better value case for the next ~10 years. So I was going to write a Nintendo 3DS review but the escapist did it for me. He even mentioned Primary Schools and e-safety… The escapist is awesome but I should warn you that this video may offend you as it contains strong language and some really bad graphics. Jeff did a great video explaining how the 3DS works. Useful info for any of the folks using Nintendo DS’ in the classroom at current. Word on the street is that the 3DS is absolutely amazing. One thing to take into account is that with 3D you naturally get a lesser viewing angle so group work on one device won’t be possible! I’m not a fan of nintendo technology but I’m getting one of these to see what I can hack onto it!